cancellation within 7 days, 1 night charged. 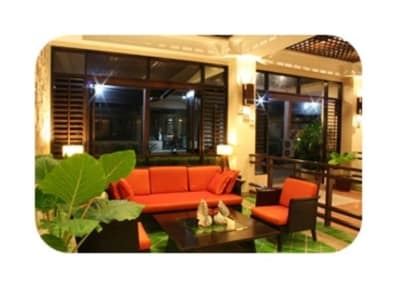 Lantana Pattaya, newly renovated in January 2011, close to local restaurants and convenience store. The hotel elegantly decorated with contemporary furnishings and modern amenities, Wi-Fi and an outdoor pool. Away from busy and noisy places, Lantana Pattaya is located close to Naklua Beach and is only 10-minute drive from the Pattaya Beach where pubs, water sports and other marine activities awaits. International Airport is a 1.30 hour drive from the hotel. Popular attractions located near the hotel is The Sanctuary of Truth. All air-conditioned rooms, 30 sqm., have private balconies and a cable TV. A fridge and hot shower facilities are provided. Guests can lounge by the pool with refreshing drinks or enjoy traditional Thai massages. Other facilities include laundry and fax services. A daily breakfast is served at the hotels outdoor terrace. Thai and Western cuisines are available at the restaurant. please be advised our lobby and meeting room will be renovated and extension. Hoping this project will be completed within April 2011. However, these extension will not be effect to the main building and lobby.